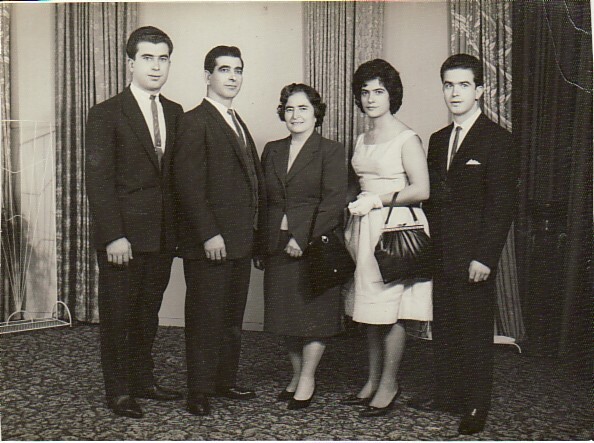 Above: With his wife, Despina, and their children, Savvas, Katina and Nikolaos. 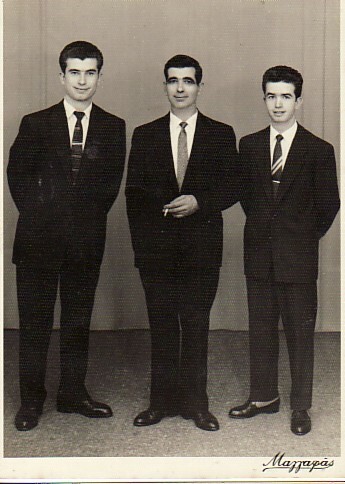 Above Right: With his sons, Savvas and Nikolaos. Above: Picnic with relatives and friends. 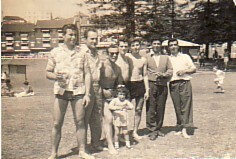 Pandelis and his son, Savvas, are first and third from the right respectively, while Panagiotis Xenakis is second from the left. 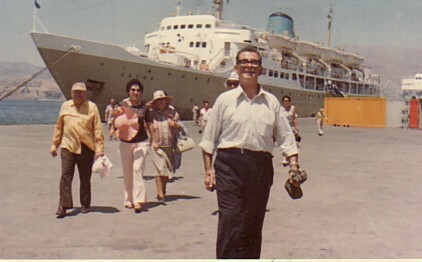 Above Right: Holidaying in Greece (1978). 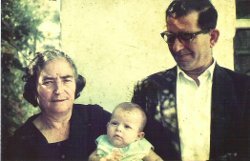 Above: With his wife, Despina, and their grand-daughter, Eleni. 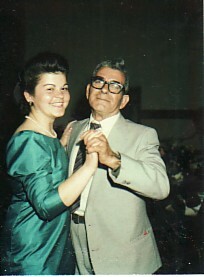 Above Right: Dancing with his grand-daughter, Denise.